Nature, Original Content, Philosophy, Things On Our Bodies, Zero Waste "How", Zero Waste "Why"
India Flint is a staunch and powerful, though still gentle, voice in the slow fashion movement. And by slow, I mean slow. She is unrelenting in her dislike of synthetic fibers, high-impact dyes, and consumer culture’s influence on design and wastefulness. 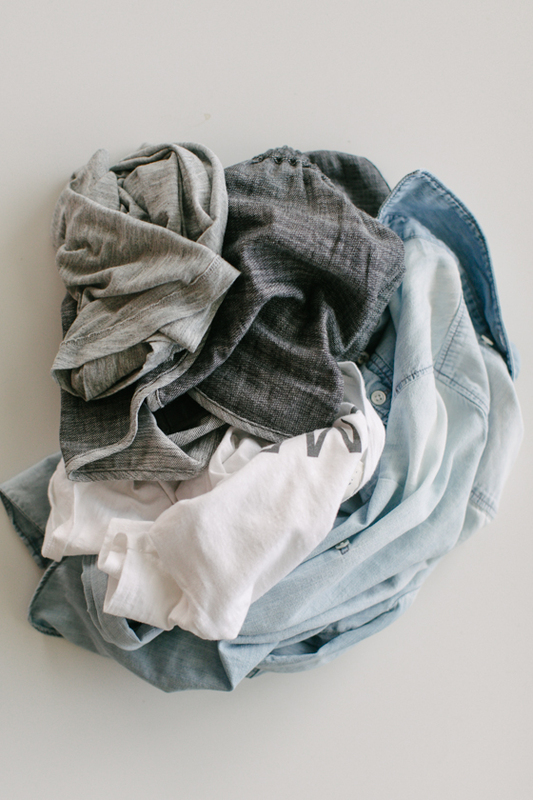 Almost from the moment of our birth, clothing acts as our second skin, yet we rarely consider where our clothes have come from and the effects they might have on the environment and ourselves. This beautifully photographed and illustrated book is about easily achievable ways to care for the planet by living simpler lives and using fewer resources, specifically those to do with cloth and clothing. It discusses the role of cloth in how consumption affects the ecology; looks at what textiles are made from and examines their properties, with an emphasis on those derived from natural sources; and talks about how to make informed choices regarding clothing-including deciding how much clothing one really needs. It also covers how to mend and maintain clothing, repurpose fashion, dyeing, and when all else fails, instructions for patching, piecing, felting, and twining. One ‘gallery’ chapter is dedicated to clothing designers and artists who have made a practice of working with salvaged materials, including Natalie Chanin (Alabama), Jude Hill (Long Island), Christine Mauersberger (Cleveland), and Dorothy Caldwell (Hastings, Ontario). Honestly? This book is a must-have for people interested in lowering the carbon footprint of their wardrobes. And I don’t use that term lightly. Flint is thorough in her explanations of even the fibers themselves, their histories, and their contemporary processing methods; everything from how to choose the fabric your clothes are made from, to what to do when they start breaking down is under her slow, careful purview. She leaves no stone unturned. Some reviewers are put-off by her reverence for textiles, and many pick up her books looking for simple step-by-step instruction. But that’s not what India Flint is about – she will not allow herself to abandon the whole picture of the textile industry to focus on some little technical detail, and she won’t let you forget the big picture either. I don’t find this off-putting, actually. I find it refreshing and necessary, and as a low-impact zero-waster (the two are not one in the same! ), this provides an important piece often missing from the dialogue we have concerning what, exactly, goes into making our wardrobes. The book itself is beautifully designed, too, and as a hardback, should last for years to come. Flint’s writing can get a little precious at times, but it really does fit with her slower way of life, and if you take the time to read her stories, you’ll find yourself rewarded with relatable anecdotes and inspiration from where her own life has taken her. It’s not just about technical know-how for making our clothes last longer. It’s about asking ourselves how many clothes we have, why our clothes look the way they do, why they’re made from the materials that they are, why we wear them how we do, and why we can’t put more care and effort into making them last until there’s barely little more than threadbare scraps left before returning them to the earth. Second Skin is a book that concerns itself with philosophy and ethics as much as it does with tricks of the trade, chemistry, and why wool felts when you wash it in hot water. If that bothers you, then you might ask yourself why that is. And if not, if you’re looking for a text packed with environmentally-conscious knowledge about textiles as well as one that asks harder questions, then this is definitely the book for you. Original Content, Things On Our Bodies, Zero Waste "How"
So I work at Whole Foods these days – I’m a floater. I like it; it’s generally simple, though often fast-paced, work, everyone’s nice, and the customers are easy enough to deal with. I was working in the cosmetics/toiletries/supplements department the other day, and was asked by a young man who had just spent the past 20 minutes reading labels what shampoo I recommend. “Between you and me,” I said with a chuckle, looking at the wall of plastic bottles, “I wash my hair with rye flour.” He gave me a blank look so I picked a brand at random and made up a brief story about it agreeing with my hair. He wasn’t convinced either way, and spent another 20 minutes studying labels. Later that evening, close to closing, the woman who worked full-time in the department asked me if I used any of the products myself. I proceeded to make up another story about how I get things from there every now and then. In reality, I think it’s been at least a few months since I’ve bought even a bar of soap, let alone a supplement or cosmetic! Lavender and tea tree essential oil were the only things I’ve bought from that, or any body care department at any store in recent memory, and they’re going to last me a long time. I stopped using face wash probably 5 years ago; body wash and lotion about 3 years ago; all makeup, deodorant, and hair care products maybe 2 years ago. I may stop using soap also. So having thrown all that conventional stuff out, how in the heck do I maintain my hygiene? For my face: I’m experimenting with using the leftover rye mixture from my hands on the oilier parts of my face, and so far so good. I had previously been using the barest bit of soap suds, but it was too harsh and I no longer enjoy the feeling of my skin being “squeaky” clean… i.e. bone dry and stripped of natural oils. The rye seems to remove excess oil and nothing more. The most important aspect of a no-face wash routine, though, is being vigilant in removing blackheads. They’re where most pimples come from, so spending a few minutes in front of the mirror after a shower to remove them will do most of the legwork in keeping acne at bay if that’s a concern. This can be done with clean fingers, or a specialized steel tool sold at most beauty stores. For my body: Nothing! I no longer use any product on my body. My fingers, a little extra rye flour, or even a light rubbing with my peshtemal towel after the shower suffices for exfoliation. I have a small bottle of Aquaphor on hand for when I get tattoos, but I’ve had the same one for years now and don’t use it for anything else. For my pits: I’m a sweaty person, not going to lie. My body is terrible at regulating its temperature, and I’m still recovering from adrenal issues, so if its above 60F, I’m probably going to be sweating at least a little. After years of being frustrated, embarrassed, and angry about it, after spending lots of money on every kind of antiperspirant under the sun, I gave up on trying to keep the sweat away and just learned to live with it. I dress differently now, I wear different fabrics, different colors than what I was used to, and that turned out to be half the battle. The other half was dissuading BO-causing bacteria from taking up residence in my pits. I tried different zero waste methods; I tried the crystal, plain baking soda, concoctions of coconut oil and cornstarch. None of it really worked all that well. Now I use a base application of several drops of lavender essential oil, then a tiny sprinkle of baking soda worked in on top. Originally, I was using tea tree oil, but the smell, being rather strange and strong, confused peoples’ noses (some of whom thought it was actually BO they were smelling) so I stopped. Really, any essential oil that doesn’t irritate your skin would probably work. I don’t get rashes this way. I think the oil protects my skin from the harshness of the baking soda. The best part about this method is that I’ve had it work for 24+ hours without reapplication, and that’s even with exercise involved. For my lips: Nothing. My lips are very sensitive. Every single product I’ve tried that was made for lips just make mine worse, so I gave up on ’em. If I get chapped lips, I’m just vigilant about not licking them whatsoever. I also make sure to “stretch” them out; for some reason, this helps to alleviate the burning/itching sensation that makes you want to lick. (It’s similar to the way slapping a healing tattoo is a safe way to help the itching because scratching will make things worse.) Really, though, my best advice is to let your lips resolve themselves. It takes a few days, and isn’t fun to deal with, but it’s the only thing that works for me. If it gets unbearable, however, I’ll usually use a small smear of some kitchen oil and that’s it. For my teeth: A small bit of plain baking soda and a bamboo toothbrush I use until the bristles fall out. That’s about it, really. I spend, what, $40 a year on body care these days? Down from at least $200-300 back when I used to think that the only way to take care of your body and make sure you don’t smell like a sock was to stock your shower and medicine cabinet with what everyone else did. I mean, surely it was conventional wisdom for a reason, right? Sure, whatever you say, buddy. You’re lucky if you can get me to tweeze my eyebrows these days! Things On Our Bodies, Zero Waste "How"
Yeah, yeah. Q-tips are bad for you! They compact wax in the ear canal, not remove it! You can rupture your ear drum if you’re not careful! I’ve heard it all before. But as a lifelong q-tip user who never had any problems, the warnings just sounded like scare mongering. Besides, there’s nothing like the sensation of itching a body part that rarely gets scratched. Mmm. The problems started happening slowly – very slowly. A few years ago I’d started getting the occasional sensation of water in my ears that I couldn’t get out, like I’d gone for a swim. And then that would occasionally be accompanied by aching, like I was getting an ear infection. But it would always resolve itself in a day or two, so I didn’t think too much of it. But in this past year, the pain would start coming without the water sensation, and it would linger for longer than a couple of days. And then sometimes it would get so bad that I wouldn’t be able to make use of earbud headphones without being in horrible pain, or lay comfortably on that side of my pillow. Still, stubborn and self-deceptive as only a human can be, I kept using q-tips, but limited my use to twice a month. After a little while of that, the pain would happen a few hours or a day after using a q-tip, and I knew I was through. Do I miss them? Surprisingly enough, not really. Sometimes I can feel the sensation of my ear producing wax, which itches like a mofo, but usually I can just stick my finger in my ear and that will do the trick. But most of the time, I just clean the outside portion of my ear in the shower every now and then, and that’s that! No earspoons, no irrigators or fancy ointments – just a finger and some water. So yeah, I get it now. You told me so. I’ve been washing my hair with just baking soda (not even a vinegar rinse, as I found that it didn’t seem to make any difference) for well over a year now, and the idea of ever going back to using shampoo and conditioner – let alone the indignity of paying through the nose for it – was just ludicrous to me. Easy to say when you’re using Vancouver water. LA water is, shall we say, not so kind to either hair or bathroom chrome. In fact, it’s not even that kind to the tastebuds. Growing up, I learned to like that faintly mineral funk of our tap water, but after living in NYC for 5 years, with their surprisingly great municipal water, and then being in Vancouver for almost a year (yes, yes, immigration is wreaking havoc on our lives still), I’ve come back home and found the tap water practically undrinkable. And for bathing, practically unusable. My first clue was my normally immaculate no-poo regimen just didn’t work here. The baking soda would never really incorporate, the water would never get that slick feeling it does when it’s doing what it’s supposed to do, and it definitely didn’t lather. (Yep, baking soda water, properly used, will lather like any other shampoo!) Afterwards, my hair felt both bone-dry and almost sticky with what I assumed to be leftover oil residue. I got knots for the first time in years – I have a quiff, where it’s only about 8″ on the top and 1″ everywhere else, so I never get knots and don’t even own a comb or hairbrush – and I could barely comb my fingers through it without it just catching on the suddenly sickly-textured hairs themselves – almost like running your fingers along a blade of grass the wrong way. In short, baking soda no-poo doesn’t seem to work AT ALL when you’ve got hard water. This blogger recommends adding the baking soda to boiling water, and storing a good quantity’s worth in the shower. Well, I gave it a go, and it worked! Seeing as how we are overrun with those big drums of delivered water for drinking (we get one a week and can’t keep up), I think I’ll try using that water for mixing with the baking soda and see if it works too. If I can avoid boiling a pot of baking soda water every other week or what have you, I will. One thing I have noticed, though, is that it requires a lot more ‘poo mix to get even a small lather going than when you use soft water. This is probably because you can’t rely on the water that’s already present in your hair to build the lather, and have to use the filtered/boiled water to do that trick. So just a heads up. I took an ecoprinting class last night at the Homestead Junction, a local joint here in Van that is pretty much one of my favorite stores in the world at this point. The class was taught by Caitlin Ffrench, a super nice, tarot-reading, punk-hippie local textile artist who started the class by acknowledging that Vancouver is, in fact, unceded Coast Salish territory, and that whenever we go out foraging for plant material to print with, remember that this is their land. And then I proceeded to learn about ecoprinting, a technique developed by – if I remember correctly – India Flint from learning about traditional egg-dyeing in eastern Europe. All in all, the technique is ridiculously simple: soak your fabric in mordant, find yourself some leaves and flowers, arrange them along the fabric as you fold it (so that no part doesn’t have stuff touching it), roll it up very tightly with a stick, wrap it very tightly with string, and stick it in a pot of boiling water for about 15 minutes for every inch in diameter your bundle is. Let rest, cut off the string, unwrap, and voila! A beautiful, utterly unique, and low-tech work of textile art. What struck me about this technique is just how low-impact and zero waste it is. It’s not wholly non-toxic – natural mordants, while often more or less safe for skin contact, should be disposed of carefully because they are solutions of metals – but it’s as green as fabric-dyeing can possibly get. And about as easy, too. So I’m going to tell you how to do it! Plant material: leaves, husks, berries, flowers, rinds, bark, etc. 1. Buy or make a mordant. Some mordants, like alum, need to be purchased, but others you can make yourself. Copper and iron mordants are easy enough to make at home, and I’ve read that you can even use an aluminum pot for your dye bath instead of alum, or just use plants that have a high tannin content – like crushed acorns, oak galls, pomegranate rind, juniper needles and others -as tannin also acts as a mordant. But for now, we’ll stick to the basic iron/copper mordant. To make some at home, grab a glass jar, fill it full of nails (for iron) or pennies (for copper; sorry Canadians, you’ll need US pennies), and fill the rest of it with half water and half vinegar. Set it sit until the metal starts to rust and the water starts looking really, really gross when you shake it. Strain out the metal pieces, and the resulting liquid is your mordant! Gather up your fabric and throw it into a container that you can from here on out designate as not food-safe. Cover it with water and add a splash of mordant, letting it sit for a half hour or so. 3. Gather your plant material. We used what Caitlin provided, which were leaves she’d collected in autumn and stored in a freezer. But green foliage works great too, and she even recommended going to florist shops and asking for their leftovers, especially when it comes to using plants from other climates like Eucalyptus. Leaves, husks, berries, and flowers will all work, assuming they have some kind of pigment to contribute. Remove your fabric from the mordant, and wring it out. Lay it down on a flat, protected surface, and begin arranging your plant material onto half of the fabric (assuming something wider than 8 or so inches). With leaves, put the top-side facing down. Fold it in half, like a sandwich, and arrange again. Repeat this process of arranging and folding until you’re left with a long strip no wider than your dye container is tall. Arrange your last set of plants along the top of your strip. Grabbing your stick (which also shouldn’t be longer than your container is tall), start at one end of the fabric and wrap very tightly – as tight as you possibly can – around it. The fabric should still be wet, so it won’t loosen so easily if it’s sticking to itself. Then grab your string and wrap it around the fabric, also as tightly as you possibly can. the fabric doesn’t need to be covered with the string exactly, just tightly bound. There are a few ways you can do this part. We did ours in a huge stock pot on a hot plate, and the liquid was just remnants of some of the instructor’s other dye baths – she doesn’t like to waste dye! This is why the fabric turned out gray instead of stayed white. But dye isn’t necessary, and we could very well have used water too – or hell, we could have omitted the water altogether also, since this only requires heat, and not necessarily steam or boiling water. You can do what we did, and boil your water on the stove or a hot plate, and set your bundle in the bath, and let it sit for about half an hour – roughly 15 minutes for every inch in diameter of your bundle – and remove it when done. The other method is the one I’m interested in: using a jar. For this, get a heat-resistant jar, throw in your bundle, and cover in boiling water. Screw on the lid, and set aside for two weeks – this is similar to solar dyeing – and remove it when done. 7. Enjoy your beautiful fabric! Once cool, unwrap your fabric and take a peek. That’s what so wonderful about this method: there’s no telling what you’ll get, and it’s almost impossible to get nothing. Every piece is unique. Caitlin said to let the fabric “rest” for a few hours or overnight before hand washing with dish soap and hanging to dry. After that, feel free to launder as normal. Ecoprinting and natural dyeing is freaking rad. It can be done on less than a shoestring budget, accomplished with random junk you find on sidewalks and in parking lots, done with fabric or garments you get at the thrift store (bedsheets, anyone? ), and the results are impressive every time. Oh, and it’s also a damn eco-friendly art form. If you’re the kind of person to read this blog, you probably know what oil pulling is. But in the off-chance that one of you doesn’t: oil pulling is when you use coconut oil (or some other oil, but coconut is by far the best) like mouthwash. Except you do it for 15-20 minutes instead of 2, and you needn’t do it vigorously at all. Just kind of… move it around between your teeth. I’ve started doing it this week, and I really like the way my teeth and mouth feel afterwards, but one of the thing that other oil pullers claim just has me face-palming, now that I’ve seen the phenomenon for myself: that the oil/spit wad turns whitish by the time you’re done, and this is because of the “toxins” it’s pulled out. I gotta say, this is complete bullcrap. Coconut oil is an oil, and if you spend a lot of time in the kitchen, you’ll be well familiar with another way in which oils are frequently turned white: emulsification. So no, this isn’t a visible sign that you’re detoxing – there’s no proof that this happens when you oil pull anyways – you are literally just making an oil and spit aioli in your mouth. So no need to fret if you accidentally swallow some, no need to start gagging because the idea of reintroducing those “toxins” freaks you out. It just ain’t happening. The other thing I wanted to note, if someone reading this is interested in trying it out, is be sure the oil is melted before you use it. The texture of a huge wad of cold coconut oil in your mouth is just so wrong that I did gag a couple times with my first go at it. So what I did was scoop some into a metal spoon, hold the spoon over one of the burners on my stove for a few seconds so that the oil melted, and then let the spoon cool down a little bit before taking a gulp. Want to try it? Here’s how to do it and some of the (empirically proven) benefits: Should You Try Oil Pulling? The United States Food and Drug Administration (FDA) does not require foods to be tested for hexane levels — probably because the chances you’ll experience any meaningful exposure from food is highly unlikely. You’re much more likely to be exposed to hexane through gasoline fumes, quick-drying glue and cleaning solvents than you are from any amount of foods you eat. Hexane is a solvent made from crude oil. In the food industry, hexane is used to extract the vegetable oil from plant seeds such as canola, soybeans, sunflowers and corn because it is more efficient and less expensive than squeezing out the oil with presses. The hexane is removed from the oil before it is bottled and sold, but there is always the potential for some hexane residue to be left in the oil. The FDA hasn’t established a limit on hexane residues in foods, however it has set limits for residue levels in hops and fish meal protein. Since it isn’t something foods are usually tested for, it’s difficult to know how just how much hexane might be in any foods you buy. It’s also unknown how much foodborne hexane might cause a problem, although current research indicates it would take magnitudes more hexane than what is possibly found in the diet. Hexane is toxic and exposure to large amounts of it can cause neurological damage. This mostly occurs when workers are exposed to hexane at oil refineries and other places where hexane may escape into the air. Current toxicology research focuses on industrial and airborne exposure to hexane, so it’s not clear how much hexane exposure from foods would be dangerous. The EPA has estimated that consuming less than 0.06 milligrams hexane per kilogram of body weight is probably safe. For a 200-pound person (97.7 kilograms), that would be about 5.8 milligrams per day. A typical diet, even one with a lot of hexane-extracted vegetable oil, would fall very far short of that. For example, the oil in the Swiss study with the most hexane contained 0.13 milligram hexane per kilogram of oil, so a 200-pound person would have to consume over 40 gallons of that oil to even come close to 5.8 milligrams hexane. Is it difficult to avoid hexane? Most hexane exposure comes through the air, however if you wish to eliminate hexane residues from your diet, you can choose foods that are “100-percent organic” and oils that are expeller-pressed rather than solvent-extracted. Expeller pressing is not as efficient as hexane extraction so oils made this way are going to be more expensive. Keep in mind that labels that state the product is made with organic ingredients may still use ingredients that have been exposed to hexane. So if you’re going to buy oils, definitely be sure to buy organic or expeller-pressed. Not only is it better for you, but it’s healthier for the workers who have to do all the back-breaking labor to produce those bottles of oil for us. Though if you’re worried more about your and your family’s exposure… well, honestly? I don’t see much of a point if you’vestill got a car that runs on oil. It’d be about as silly as an alcoholic giving up rye because of concerns about alcohol poisoning! Or, interested in saying “screw it” to the whole production process? You can try making your hand-pressed oil at home with a few basic kitchen tools!